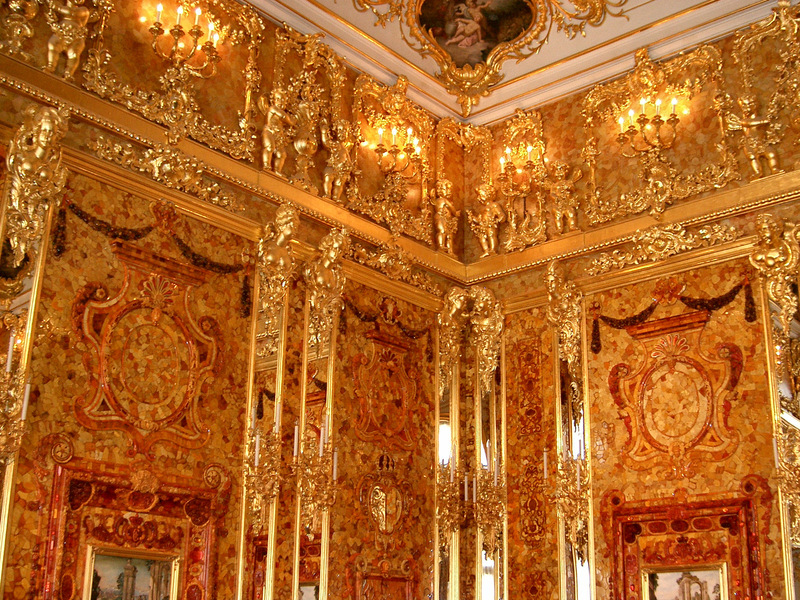 While the newest high tech gadgets displayed at CES 2015 last week did have some pretty nice embellishments they can in no way compare to the absolutely over the top ornate bling I viewed during my trip to Russia – particularly in St. Petersburg and Moscow. My faithful readers will remember some of the exploits I have already shared in the former city in my first post of the ongoing series, “When Things Don’t Go as Planned” or WTDGAP. 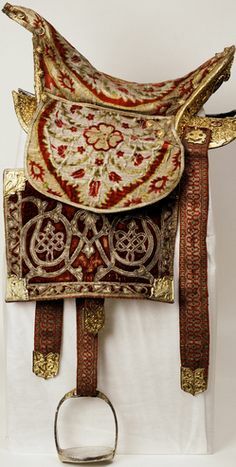 Today I want to bring you indoors to see some of the most spectacular, and in some cases completely useless other than being an example of why the peasants revolted and assassinated the reigning tsar and his family. “The palace was then being built, but it was the work of Penelope: what was done today, was destroyed tomorrow. That house has been pulled down six times to the foundation, then built up again till it was brought to its present state. The sum of a million six hundred thousand rubles was spent on the construction. Accounts exist to prove it; but besides this sum the Empress spent much money out of her own pocket on it, without ever counting”. “Finely ground or pulverized tobacco intended for use by being sniffed or snorted into the nose. 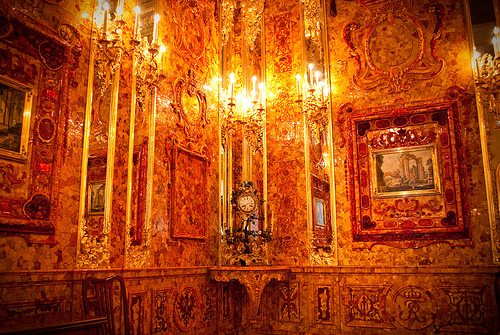 I have to admit I did love this next room of the Tsarcoe Selo as during a previous trip to Central Europe I fell in love with amber. Amber is a naturally produced item – basically fossilized tree resin – but it has been admired as jewel-like since the Stone Age. 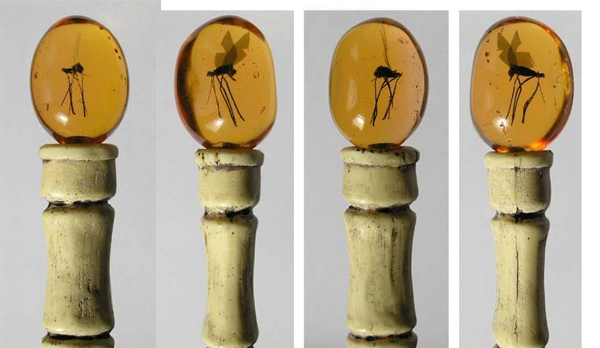 Remember the head of John Hammond’s cane in Jurassic Park which encased a mosquito:? 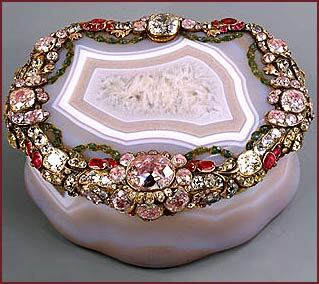 However impressive the above may seem, they pale in comparison to a love “token” that Catherine received from Prince Gregory Potemkin. 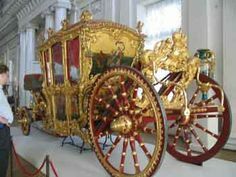 To see this, we must travel to the Hermitage along the Neva River. Comprised of a number of buildings, with the most impressive being the Winter Palace of Catherine. The Hermitage is so immense and so rich with art and history – another post will be written in the future to give it justice. Today our focus is The Pavillion Room. Gregory Potemkin was originally a middle – class noble but worked up the ranks as a military commander in the Russo-Turkish war of 1768-1774. He became Catherine’s lover and it is written that he was also her secret husband. 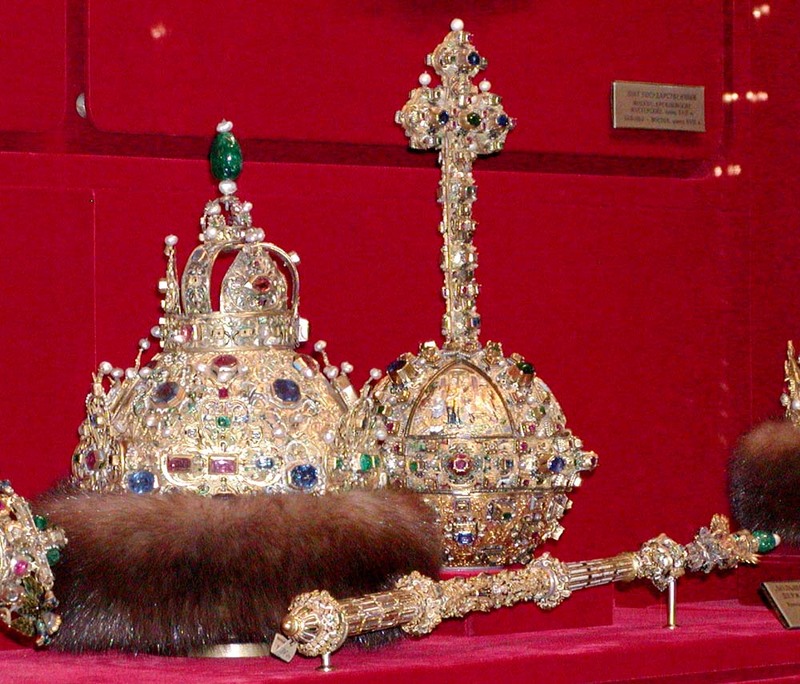 Catherine bestowed Potemkin the title of Prince of the Holy Roman Empire and gave him the title of Prince of the Russian Empire. 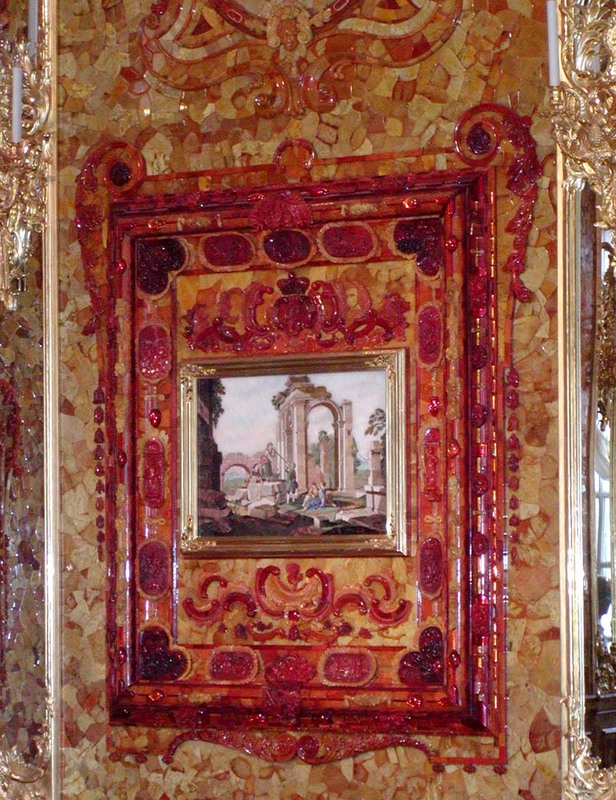 In return, Potemkin secured the Peacock Clock for his lover by commissioning a London jeweler, James Cox who was known as the most celebrated creator of mechanical timepiece. The centerpiece is a magnificent peacock which along with other animals, start to move at the end of each hour. First, an owl’s cage rotates, bells chime as the owl turns its head,blinking his eyes and tapping his foot. Then the peacock gets into gear, spreading its tail, stretching its neck, turning and throwing back its head and opening its beak. Note that this is a clock so all these motions are precise and are set to show the hour and minutes whisk by. In order to preserve the mechanisms , this clock is wound up and performs just as it did for Catherine only once a year – during the White Nights of Russia in June. 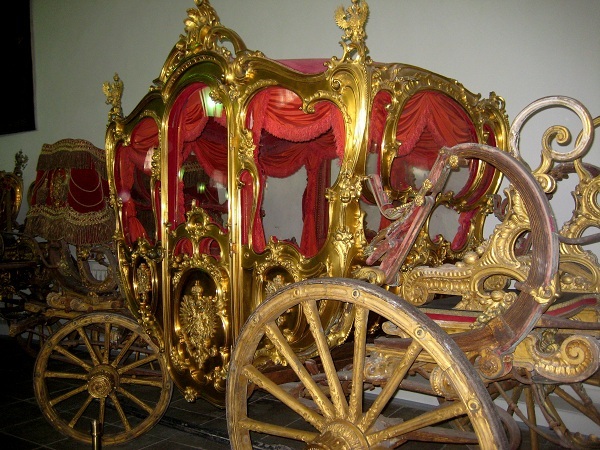 Here is a video – please watch all of it for it is a marvel – remember this was built in the 1700’s!!! 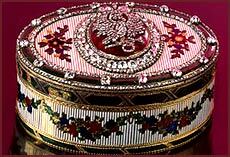 In closing, bling can be useful – Potemkin surely knew how to make his lady happy. 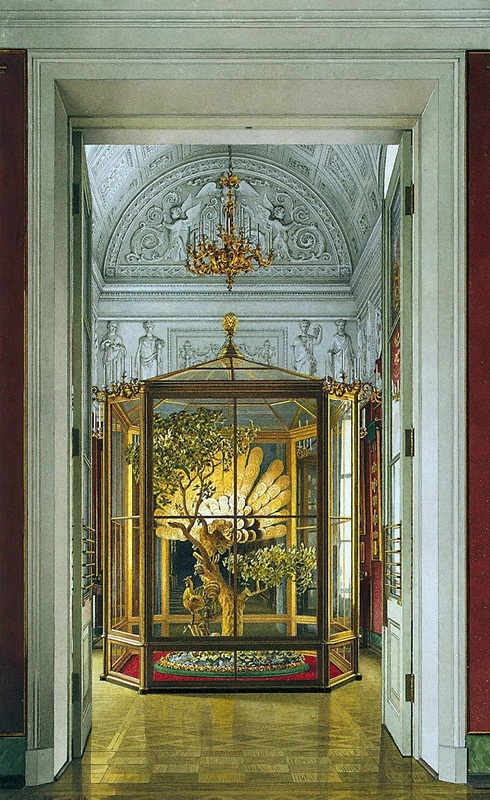 This entry was tagged CATHERINE PALACE, CATHERINE THE GREAT, FABERE EGG, FABERGE, GOLD, HERMITAGE, JEWELS, KREMLIN, PEACOCK CLOCK, PETER THE GREAT, PETERHOF, RIVER NEVA, RUSSIA, ST PETERSBURG, TSAR, TSARCOE SELO, TZAR. Bookmark the permalink.